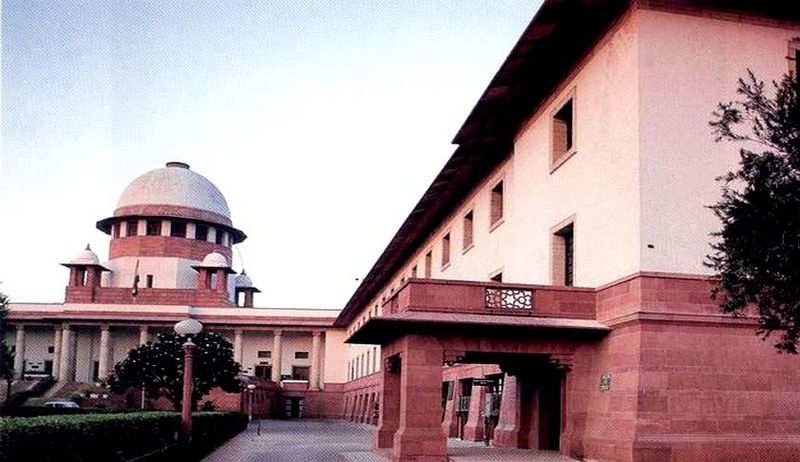 A two Judge Bench of the Supreme Court Today held that the statement of Accused about the complicity of a Co-accused which was unknown to the Police is admissible under Section 27 of Indian Evidence Act if it is confirmed by subsequent events. The Bench comprising of Chief Justice Dattu and Justice Arun Mishra was hearing an Appeal [Mehboob Ali & Anr. Vs.State of Rajasthan Crl.A. No. 808 of 2010] against concurrent finding of guilt under offences U/S 489C read with S.120B IPC. According to the Prosecution one Puran Mal was arrested and from his possession forged currency notes were recovered. On the basis of information furnished by him that the currency notes were handed over to him by accused Mehboob and Firoz, they, in turn, have unfolded the entire sequence leading to arrest of accused Anju Ali. Anju Ali was arrested on being identified by Mehboob Ali and Firoz when they were taken from Jaipur to Delhi and the recovery of forged currency notes was made from Anju Ali. Anju Ali identified yet another co-accused Majhar from whose possession also fake currency notes were recovered and information supplied by Majhar ultimately led to arrest of Liyakat Ali from whose possession also forged currency notes and semi-printed currency notes were recovered along with instrument of printing fake currency notes. “It is apparent that on the basis of the information furnished by accused Mehboob Ali and Firoz other accused, Anju Ali was arrested. The fact that Anju Ali was dealing with forged currency notes was not to the knowledge of the Police. The statement of both accused has led to discovery of fact and arrest of co-accused not known to police. They identified him and ultimately statements have led to unearthing the racket of use of fake currency notes. Thus the information furnished by the aforesaid accused persons vide information memos is clearly admissible which has led to the identification and arrest of accused Anju Ali and as already stated from possession of Anju Ali fake currency notes had been recovered. As per information furnished by accused Mehboob and Firoz vide memos P41 and P42, the fact has been discovered by Police as to the involvement of accused Anju Ali which was not to the knowledge of the Police. Police was not aware of accused Anju Ali as well as the fact that he was dealing with fake currency notes which were recovered from him. Thus the statement of the aforesaid accused Mehboob and Firoz is clearly saved by section 27 of the Evidence Act. The embargo put by section 27 of the Evidence Act was clearly lifted in the instant case. The statement of the accused persons has led to the discovery of fact proving complicity of other accused persons and the entire chain of circumstances clearly makes out that accused acted in conspiracy as found by the trial court as well as the High Court”. “Considering the aforesaid dictums, it is apparent that there was discovery of a fact as per the statement of Mehmood Ali and Mohd. Firoz. Co-accused was nabbed on the basis of identification made by the accused Mehboob and Firoz. He was dealing with fake currency notes came to the knowledge of police through them. Recovery of forged currency notes was also made from Anju Ali. Thus the aforesaid accused had the knowledge about co-accused Anju Ali who was nabbed at their instance and on the basis of their identification. These facts were not to the knowledge of the Police hence the statements of the accused persons leading to discovery of fact are clearly admissible as per the provisions contained in section 27 of the Evidence Act which carves out an exception to the general provisions about inadmissibility of confession made under police custody contained in sections 25 and 26 of the Evidence Act”. It is a usual practice of Police to plant the weapon in some hidden places and stage-manage a recovery later to make it admissible under S.27 of Evidence Act. With this Judgment even that is not required.